I am a VPN newbie. I foind out how to set up my VPN for port forwarding and selecting the server. On Vuze under options-connections I entered the port number. Yet the VPN helper Steele reports that it can't get the forwarding port and insure that the VPN manager directory is properly set or set user/pass in plug in is configured. I don't know what I am doing here are so any help would be appreciated. Sounds like you are using PIA. 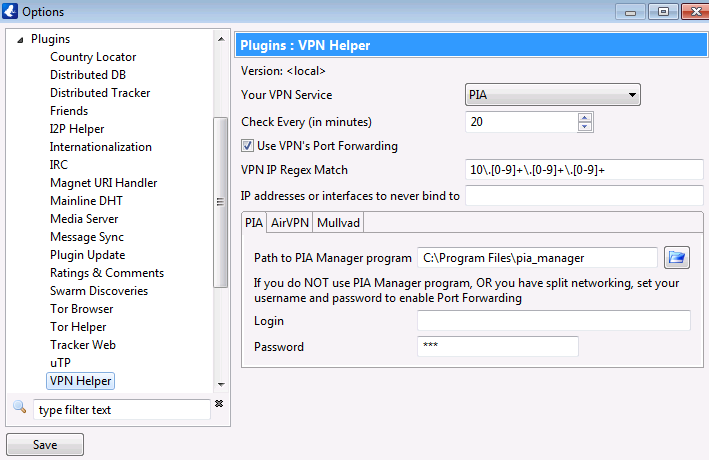 Did you enter your PIA login/password info into the VPN Helper's config?